When not writing here at Open Culture, I host and produce Notebook on Cities and Culture (iTunes link), a globe-traveling podcast dedicated to in-depth conversation with cultural creators, internationalists, and observers of the urban scene about the work they do and the world cities they do it in. Through Kickstarter, I've funded the show's first four seasons, with interviews recorded in places like Los Angeles, Osaka, Vancouver, Mexico City, Copenhagen, and London. 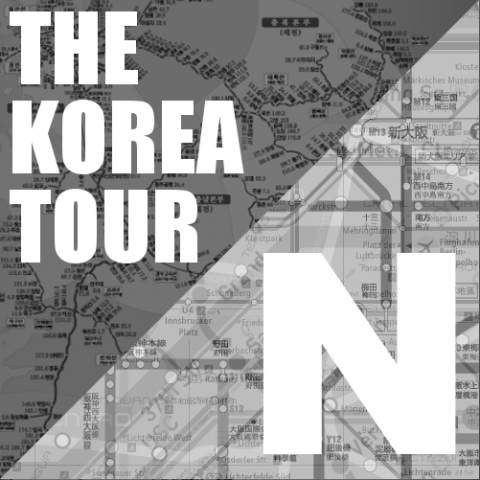 Today, a new Kickstarter drive begins to fund the show's latest and most ambitious venture: the Korea Tour, a season of conversations recorded all around the most fascinating country in Asia today. You may well have already enjoyed the considerable and often surprising fruits of modern Korean culture through its film (Hong Sangsoo's work first pulled me in, and boy, does it continue to), its music (which, I can assure you, goes well beyond Girls' Generation and "Gangnam Style"), its television (which, by the same token, offers more than all reportedly addictive melodramas), or its food (the experience of which doesn't start and end at barbecue joints). On Notebook on Cities and Culture's Korea Tour, you'll go much deeper, hearing from a wide variety of interesting people based in Korea, outside as well as in the vast and undoubtedly exciting capital of Seoul. I'll talk to as wide a range as possible of Koreans and foreigners alike, including the literarily, technologically, academically, culinarily, and cinematically inclined — to name but a few of their many inclinations. If you'd like to make the Korea Tour happen, please do visit its Kickstarter page within the week, during which we'll need to raise its $5000 budget. Should you decide to become a backer, rewards include postcards from Korea, mentions of your project or message on the show, and copies from the very-limited-indeed print run of my textual and photographic Korea Diary. 여러분, 읽어 주셔서 감사합니다. 한국에 갑시다! 한국 방문이 즐거운 추억이 되기 바랍니다.